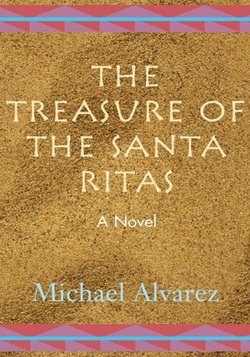 When Nick Madrid hears about the dead man found in the desert, he doesn't give it much thought. Only thirty minutes from the Mexican border, corpses have a funny way of turning up in the strangest places. But this is no ordinary corpse. The dead man's driver's license says he is 44 years old, but the medical examiner claims the body is that of a man named Alex Dodson in his 90's. Why the age discrepancy? Before Nick realizes it, he's hot on the trail of a vicious killer, is sidetracked by a beautiful female homicide detective, and is almost killed by a KGB agent who never heard of glasnost. In order to recover the lethal bio-weapon and save the city from a disease deadlier than AIDS, Nick must stay alive long enough to find out who really killed Alex Dodson and solve the medical mystery of the century. Seventeen-year-old Matt Bowden is convinced that his uncle didn't commit suicide. Matt is determined to find out who killed Uncle Jonas and why. At his uncle's house, Matt finds a phone message from a man named Art Fogle, a university history professor. Matt soon learns that Fogle was killed in a hit-and-run accident, only hours before Matt found his murdered uncle. Matt asks the soon-to-retire homicide detective, John Pawlowski, for help. The trail leads Matt and John to a man named Phil Simpson, a local authority on Southwest mines and treasures. After their visit, Simpson dies mysteriously, when his house burns down. All Matt and John have to do now is stay one step ahead of the killer and find the Spanish treasure before anyone else is murdered. MAMAS, DON'T LET YOUR BABIES GROW UP TO BE WRITERS is a book by a published writer who shares personal observations and experiences, which have shaped his writing career. The author does a great job of informing us and delighting us with humorous episodes from his journey of becoming a writer. Highly recommended for anyone who wants to be a writer, or knows someone who wants to pursue a writing career.